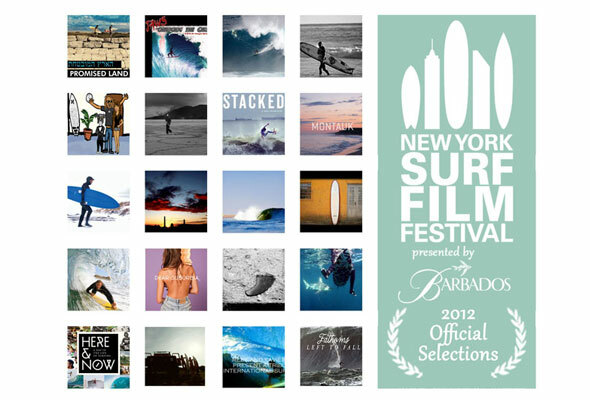 New York, NY - The 2012 New York Surf Film Festival (NYSFF) presented by Barbados is pleased to announce this year’s Official Film Selections including 13 Feature Films and 17 Short Films directed by filmmakers and set in locations from all corners of the globe. This premier showcase of thirty (30) international surf films will play at NiteHawk Cinema, New York City, Wednesday September 19th and Thursday September 20th, 2012 from 7pm – 12am. A special complimentary screening of the ‘Enyclopedia of Surfing’ digital archive of historical and current film clips will be ongoing in the bar and lobby throughout the festival courtesy of Matt Warshaw.